Port Moresby Powes Parkop has challenged city residents to choose positive changes that they also want their city to become. And that, he emphasised, included participating in the Walk and Yoga for Life every Sunday morning. He said these programs are aimed to have positive health outcomes for city residents, their families, their homes, their communities and eventually the city. Commending the participants for yet another huge turnout, Mr Parkop said they braved their slumber as early as 5am, proving that they are keen for change and have already made real progress in achieving that change. The notable presence of Housing and Urbanisation Minister John Kaupa, and world boxing champions, Thomas Kagili and Lee Henry Garap, were an added bonus to the programs. “When everybody realises that it is for their own health, wellness and fitness, it will successfully achieve goals with passion for the greater good,” he said. Governor Parkop exemplified that he started participating in the walk with the aim to change the city, and so far, he has achieved the changes that he envisaged the city to be. He added that ongoing commitment pays off. 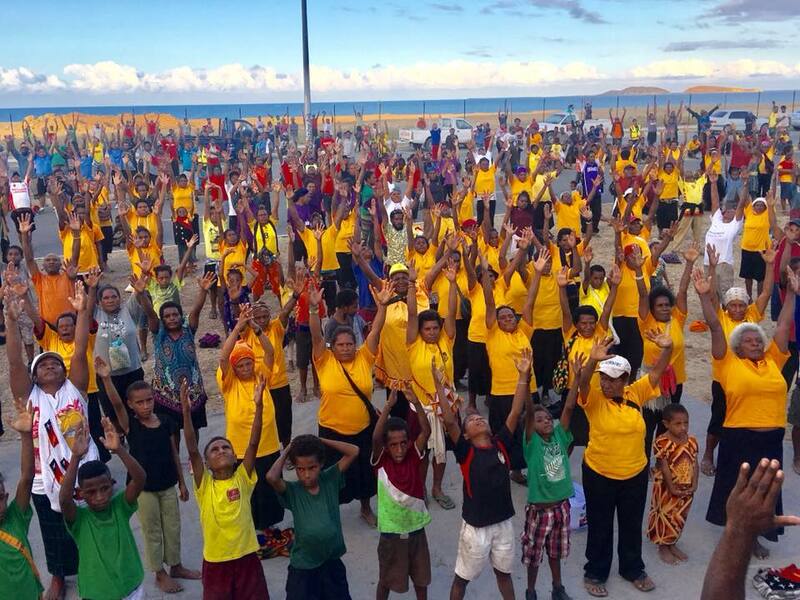 Mr Parkop extended the same message to Yumi Clean-up volunteers, urging them to have a mentality that they are already fed up with living in the city ridden with crime, graffiti, litter, betelnut spittle, plastic pollution and violence. Parkop also applauded the volunteers for cleaning major parts of the city, allowing residents a peaceful, clean, safe, liveable, active and smart city. According to him, change starts with individuals, then it spills over effect onto their family, community, city and the country as a whole. “For myself, I have achieved more. I want to leave a better legacy. I choose to be the change I want the city to be.